We’ve all faced split-second decisions that can drastically change our lives. If we aren’t careful, those choices can haunt our dreams and cripple our current progress. A crush becomes an obsession, and the pursuit of regaining a magical moment is rarely wise. Romantic comedies may teach us that a happy ending is on the way, but it’s just a movie. This unending search is at the heart of Satoshi Kon’s Millennium Actress, which provides a much-different approach to the biopic. The animation shows us flashbacks that connect with the present and the movie world. The 70-year-old Chiyoko Fujiwara (Miyoko Shôji) spends her adult life trying to find a painter she met for just a short time. This quest sidetracks her film career and eventually sends her into seclusion. While recounting her past for the TV journalist Genya Tachibana (Shôzô Iizuka), she creates a world that mixes reality with fiction and sends them on a remarkable emotional journey. The question hanging over this story is how much clarity is needed to keep us engaged. For much of this film, it isn’t clear whether we’re seeing a film shoot, real life, or something new. Genya and his camera man Kyoji Ida (Masaya Onosaka) often appear within these visions and further complicate our understanding. They’re hardly innocent bystanders, and Genya frequently saves Chiyoko from dangerous forces. It’s a brilliant way to present her emotional state in her younger days, but the disorientation is tricky for viewers. If we’re willing to take the ride and follow the story to its tragic end, getting accustomed to this style isn’t so difficult. Animation is the perfect format for this original take since anything can happen. Like Eternal Sunshine of the Spotless Mind, our memories of the past can be a destructive force. They’re haunting and painful images that still make an impact many years later. Chiyoko’s memories are unlocked by a mysterious key that brings a supernatural feeling. I wouldn’t read it that simply, though. Instead, it’s her connection with this device that opens the locks into her brain about the past. Genya’s arrival plays a role given his surprise participation in her actual life. This revelation changes our impression of his appearances in the earlier sequences. Genya’s role as a protector has morphed into something more universal throughout her memories. It’s tricky to delve too much into her psychology because the facts are so minimal. The gut punch is the reveal about the painter who’s dominated so much of Chiyoko’s thoughts. This brings a new layer of tragedy to the entire experience despite the energy on screen. Another recurring image is a fortune teller who predicts her unfortunate fate. This force seems to be an external villain watching everything, but the truth may be closer to Chiyoko herself. This menace connects with her personal self-sabotage and reminds us that the futile search won’t lead to happy results. 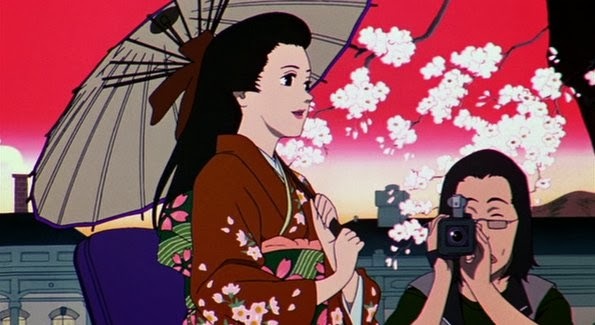 Millennium Actress is the type of movie that’s going to lose some viewers in its first half hour. Unlike Kon’s equally confounding Paprika, it provides some revelations that clarify what we’ve observed. The question of what’s actually happening slips away by the end. Kon provides enough information to keep the story from becoming pure chaos, and that’s the key factor in its success. I’ll admit to being lost in the early going, but the striking animation and narrative energy kept my interest. It’s an intriguing experiment that only grows in your mind with each passing day. The creative animation gives Kon’s vision a chance to shine in a way that wouldn’t be possible through live action. He’s doing more than showing pretty images and is delving into emotional worlds that we rarely see on screen. This post concludes my 2013 Blind Spots series, which focused on cult films from The A.V. Club's New Cult Canon. I’ll be continuing this series next year with choices voted on by readers. Click here to check out the 12 blind spots chosen for 2014. I can’t wait to get started with this remarkable group. Yeah, we had a similar reaction to this film, which I also just reviewed earlier this year. I was totally lost in the first 30 minutes, but then it suddenly all clicked and I "got" it. I fell in love with the film and it became one of my favorite movies I watched this year. 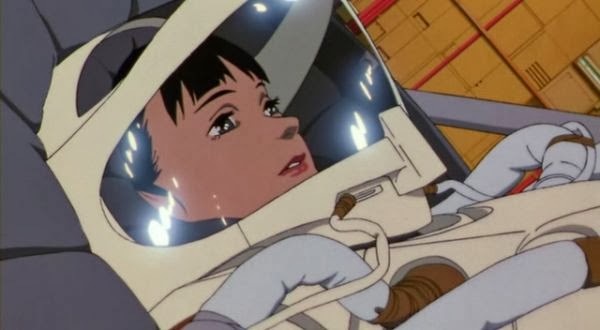 Similarly, I've also only seen one other Kon film prior to this one, but in my case it's Perfect Blue. And that also ended up one of my favorites of that year (unsurprising with my love of Black Swan, which is basically its live-action remake). But yes, this is a tough film stylistically. It's very experimental, but that's what I love about it. It's experimental without being pretentious or ultimately near-impossible to understand (see: Paprika). It's also quite meta, which I love. I'm glad you liked it. I also liked Paprika, though I agree that it goes overboard and gets ridiculous by the end. 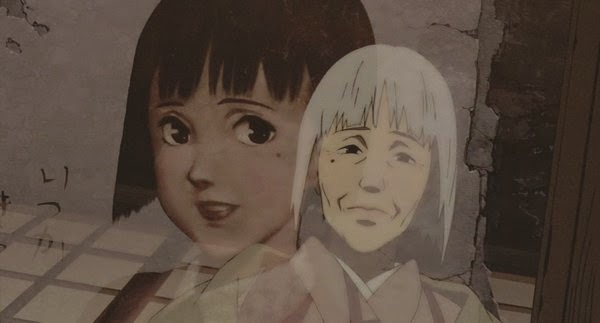 Millennium Actress is sort of the opposite; it starts out being difficult to grasp, but it makes more sense once you grasp the landscape. I'll have to check out Perfect Blue sometime next year. It's funny that you mention your hatred of Paprika. I looked back at my review when linking to it, and your comment (with other similar ones right after it) was the first one. I'm guessing it hasn't stuck with you, except to remember how bad it is.